I have installed VirtualBox OSE on Ubuntu 11.04 and Windows XP pro as the virtual machine. Now I want to have a shared folder which can be accessed on both, my host Ubuntu machine, and my WinXP guest virtual machine. First step is to install Guest Additions in your virtual Windows. 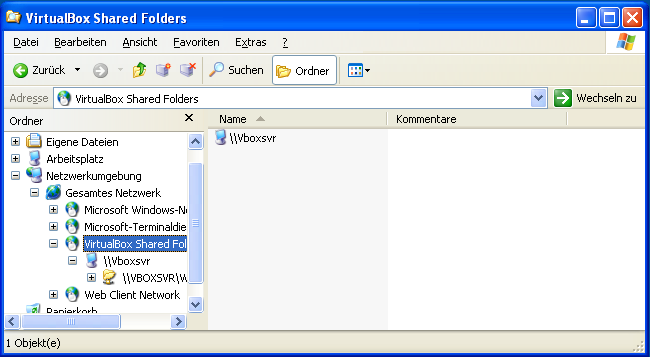 In a Windows guest, shared folders are browseable and therefore visible in Windows Explorer. So, to attach the host's shared folder to your Windows guest, open Windows Explorer and look for it under "My Networking Places" -> "Entire Network" -> "VirtualBox Shared Folders". By right-clicking on a shared folder and selecting "Map network drive" from the menu that pops up, you can assign a drive letter to that shared folder. 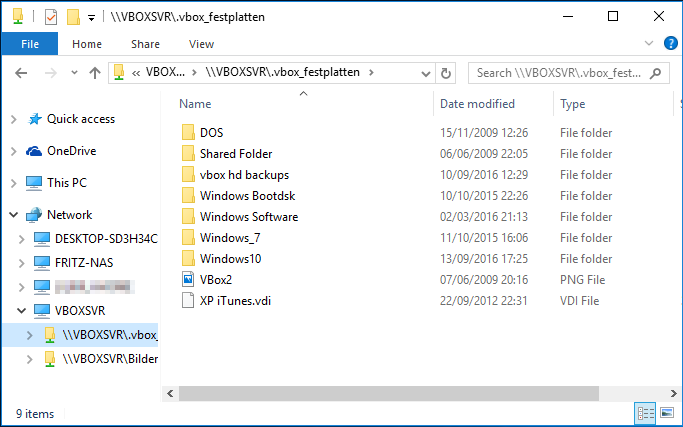 If you don't see any entries coming up in the Browse dialog, you can manually fill out the Folder: field with \\VBOXSVR\<folder-name> where <folder-name> is the share name of your folder. You have to install the Virtualbox Guest Addition (GA) to be able to share with the host if using Windows. First create a folder to share in with the host. For example, create a folder called X in your Host's Desktop and before or after installing the Guest Addition right click on the guest os in your Virtualbox main window. Go to settings and look for the Shared Folder option. Select it and choose the X folder you just made. Now boot the guest OS with the Guest Addition already installed (if you haven't installed it yet do so) and on the terminal type net use x: \\vboxsrv\x that is all. It should tell you that you are now sharing. I was having this problem with Ubuntu host and Windows Guest. I had Guest addition installed but was not able to share the folder. After that start Guest Machine and install Virtual Box Guest Addition from Devices - Insert Guest Additions CD image , this will show the ISO file just go on clicking to install. browse to "/usr/share/virtualbox" ISO image should be here select this and then go back to installation process. Not the answer you're looking for? Browse other questions tagged virtualbox windows shared-folders or ask your own question. How do i share files between my ubuntu host and xp pro virtual machine?